Someone took home a big jackpot last week from a slot machine at Greektown Casino in Detroit. 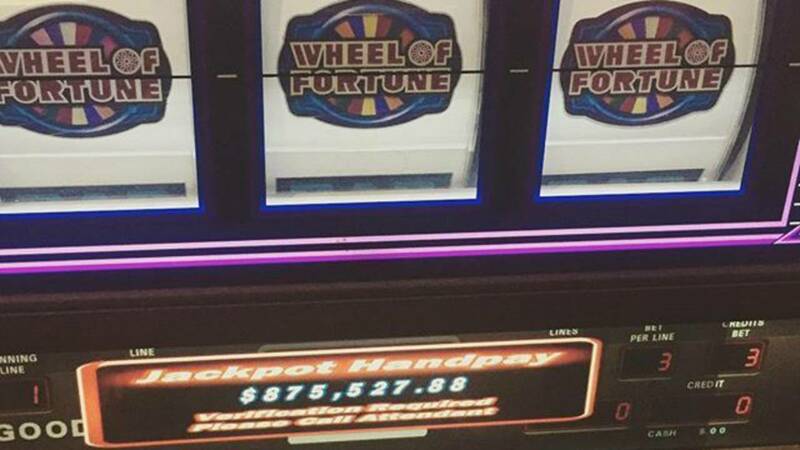 The guest, who wishes to remain anonymous, placed $20 into his favorite slot machine and walked away with a pocket full of cash – $875,527 to be exact. After seeing the winning combination come across the line, the 50-year-old male said he was so shocked that he could not move. The man hit the jackpot playing the Wheel of Fortune Double Diamond slot game. When asked what he will do with the jackpot, the lucky winner stated that he plans to use his winnings to take his family on a trip.